GE Door Manufacturing has extensive manufacturing capacity through its 80,000 sq ft modern facility. It is committed to the continual development and improvement of its products and service, in response to the growing demands through changes in legislation, and the changing needs of the market. 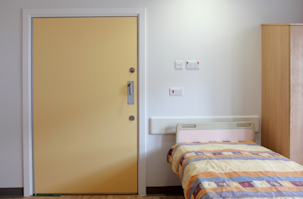 We provide doorsets, screens and ironmongery to the Education, Health and Commercial sectors, from a simple budget doorset for a social housing scheme through to a hand crafted bespoke solution for a commercial office. We are continually developing our offer to the market, and are at the forefront of the industry, developing innovation such as CE Marked doorsets and BIM modelling. The company was set up by the current Chairman in 1999 with a view to manufacturing doorsets for G E Carpentry Services. This was born out of frustration of not being able to source quality doorsets with the required service, delivered on time. As the door business evolved and grew, the group did less installation and concentrated on manufacturing. Today the group only manufactures and supplies products and no longer has an installation arm. 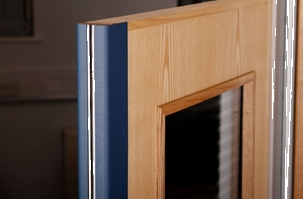 Therefore having been a customer of doors, this has given our company a unique insight into the customers’ needs. Our core philosophy today is to deliver the same product our Chairman was looking for back in 1999; quality doorsets, with a first class service, delivered on time. We have expert technical support and a full NBS based specification and design service, supported by our Technical Director who currently sits on three industry committees, including the BM TRADA Q Mark, and the British Wood Working Federation.